When it comes to ensuring your family is comfortable and safe throughout the year, a home generator can be a major peace of mind. Generac — a leading home backup power company — offers some of the best deals and best products in the generator industry. 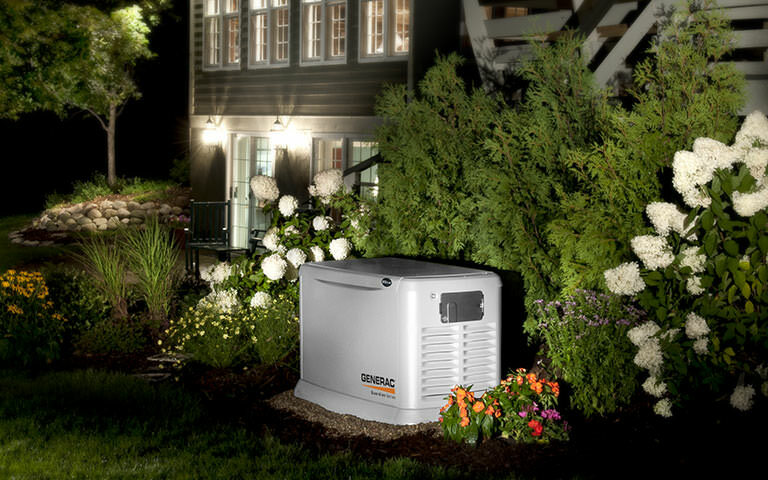 With 7 out of every 10 homeowners choosing Generac brand generators, it’s safe to say that your family will be well prepared whenever the power goes out. With automatic operation, 24/7 customer support and no refueling necessary, it’s hard to find a more reliable product. Generac offers a wide variety of home generators, and as a leading installer of the Generac brand north of Boston, we’re here to help you decide which one is best for you, your home, and your budget. Below is a full list of their home generator products to choose from. Which Generac Home Generator Is Best For Your Home? Generac Guardian Series. The Guardian series is Generac’s most popular home generator line — and for good reason. Whenever the power goes out due to high winds, snow or cut utility lines, the Guardian will kick on within just a few seconds and you don’t even need to press a button or fill it with fuel. The generator will automatically run until it detects that your home’s power has been restored. Generac Synergy Series. The Synergy is the ideal home generator for those looking for variable-speed generators. This generator works to reduce energy consumption by varying it’s delivery speed based on your electricity demands at the moment. For instance, if you are using the microwave and then the hairdryer is being used at the same time, the Generac Synergy will increase it’s output speed in order to compensate for the additional energy use from the hairdryer. This allows for a quieter operation and clean power output. Generac EcoGen Series. Just as the Synergy is meant to be more fuel-efficient, the EcoGen also works to reduce energy consumption. This is an automatic backup generator for homeowners who are off the grid and whose homes rely on solar power or window power for their electricity. This beautifully engineered, state-of-the-art home generator will help keep your home both safe and off the grid during a power outage. There is also a $2,000 incentive available. Generac Protector Series. As Generac’s largest home generator, the Protector series offer homeowners a pre-packaged solution to backup power. There is both a natural gas and a diesel pre-packaged product available depending on your needs. The Protector series is perfect for homes that generally consume a large amount of electricity, but we also recommend this product for those who own and operate small storefronts. No matter which product you choose, Generac also provides 7 and 10 year extended product warranties which our generator installation company can review with you. If you’re unsure which home generator system to opt for, Morrill Electric can sit down with you and review each of these above options in more detail. Contact us today to request a consultation or a free estimate on your new home generator.